As part of this ongoing series on Teaching Romanticism we will consider the ways in which we lecture on and discuss individual authors, whether during author-specific modules or broader period surveys. I thought it would be particularly useful to hear about which texts educators use and in what context, whether they place certain poems or prose works against those of other writers, or use contemporary or modern theoretical texts, or something else entirely. For this strand of blog posts I invite academics across the world to share their advice and tips on any aspect that interests them about teaching Romanticism. Many thanks to all of those who answered my call through NASSR-L, The BARS Review, and elsewhere (lightly edited samples are reproduced below with permission of the authors). Please do feel free to contact me with advice on future subjects or, indeed, with further thoughts on teaching Smith, about which much more could be said, evidently. We will be considering a range of writers, canonical and non-canonical alike, in the coming months. The French Revolution; Paine, Burke, Godwin, Wollstonecraft, national insularity and Englishness, human rights, etc. The war with France and its indelible influence on people, politics, and economics. Politics at the time: Whigs, Tories, key reform issues. Economics: enclosure, stock markets, growth of urban centers, mercantile capitalism, the beginning of the Industrial Revolution, Luddism, labor drift. Byron’s reputation; the Byronic hero; the figure of the poet. The Cockney School of poetry. Wordsworth’s importance: lost leader or not? Locke, Hume, Hartley, associationism, idealism, empiricism, imagination, sublime, the gothic. When introducing Keats, I make sure to mention that he is not at all from the lower classes, contrary to some popular ideas. Some of his family background and very decent (liberal) education is covered. I try to point out that Keats, at the beginning of his poetic career, is quite the lad about town (London), and not nearly and completely the sensitive, shrinking violet we sometimes want him to be. The first text presented is “I stood tip-toe”, and I have to admit to some not-so-gentle mocking of the poem takes place—pointing out the poem’s problems, remarkable inconsistencies, clichés, etc. ; by the time we launch into close reading some of the passages, most of the students are openly snickering at how bad “tip-toe” is; the point of this is to get to how very good (“great”, in fact) Keats becomes in a very short time. Keats’s poetic progress thus becomes part of (central to, actually) the narrative of how his canon is presented; Keats desire to be an enduring poet is made clear (poetic fame becomes a sub-theme). Corresponding with all of this, Leigh Hunt’s importance is, at length made clear: through Hunt, Keats’s aspirations and progress were both promoted and stymied. Hunt is viewed as central to initiating Keats’s complex connections to the London’s poetic and artistic intelligentsia. At the same time, the students, through a selection of key letters, watch how Keats begins to realize that grappling with “deeper” accomplishments of Shakespeare, Dante, Milton, and Wordsworth are key to his own poetic development. Hunt’s poetry of “fancy”, Keats realizes, can never really be great poetry. 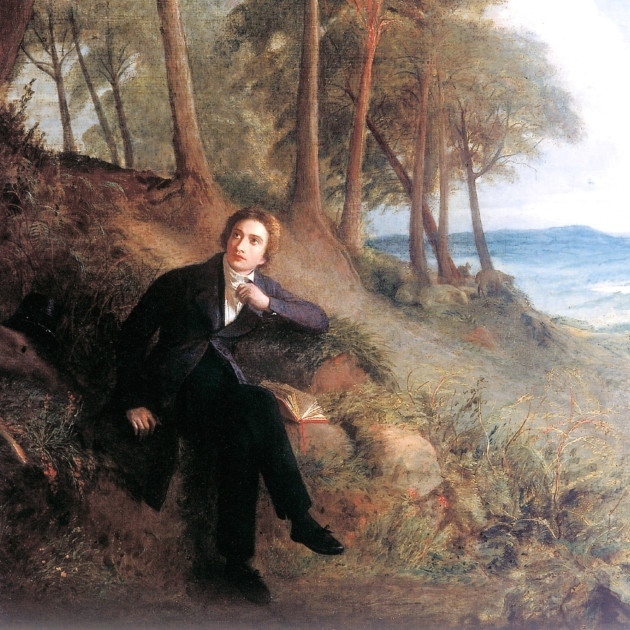 The particular importance of Keats’s grappling with the philosophical Wordsworth is discussed. London Regency culture (the stage, fashion, newspapers, etc.). Keats’s dealing with women (Fanny Brawne and Isabella Jones). 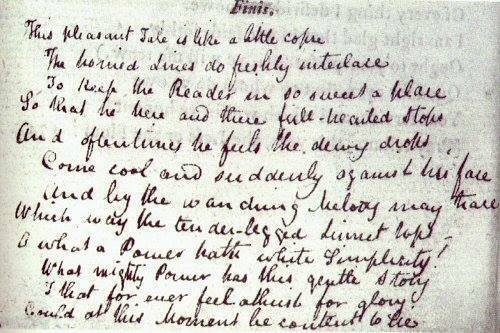 Byron’s insightfully nasty comments about Keats. Keats’s nurturing of, and then death of, his brother Tom. The importance of the trips to Scotland and the Isle of Wight. The point at which his own immortality likely begins to play upon the direction of his poetry (perhaps earlier than we think—the Scotland trip? the period in Teignmouth spent taking care of Tom?). The place of Hazlitt, Reynolds, Haydon, Severn, and a few others in Keats’s life and poetic development. Poetry taught: “I stood tip-toe”; “Sleep and poetry”; “Chapman’s Homer”; the opening of Endymion and (importantly) the preface to Endymion; “La Belle Dame”; “Eve of St. Agnes”; bits of Hyperion; the great odes; “Bright Star”; “This Living Hand”. I attempt to read select passages of the poetry very closely: the story of Keats’s development is not just his search for a strong subject (he doesn’t seem to have one early on), but for forms that allow him to go “into” his subjects in ways that correspond to his aesthetics (as described in his letters). Other material: Lockhart’s anonymous review of Keats (students get quite a bit out of this review—and quite a shock); a number of Keats’s letters (mainly the predictable ones: fame, chameleon poet, negative capability, egotistical sublime, Mansion of Many Thoughts, life of allegory, etc.). There’s a remarkable letter towards the end of the two-volume Letters of John Keats, edited by Hyder Edward Rollins in the 1950s. Unlike most of the remarkable letters in those books, this one was not written by Keats himself. It was sent to Keats by a man named John Aitken, a bank teller for the East Lothian Bank in Dunbar, Scotland. Aitken explains that he had followed Keats’s career closely, reading all that he had written. 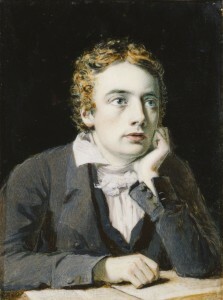 In the letter he asks Keats to come live with him in Scotland so that the ailing poet might convalesce there (Aitken had read Leigh Hunt’s notice in the Indicator stating that Keats was ailing—of course, Aitken did not know that by 17 August 1820, when he wrote his letter, Keats’s plans to sail to Italy were already well in motion). By the end of his effusive letter, Aitken has convinced himself that Keats would accept the offer. He imagines himself at the train station “on the watch, as impatient to meet with you as if you were a young Lady”, waiting for the moment when he and Keats would share a “warm shake of the hand in Dunbar”. Aitken’s reasoning for making the offer: “In short I love you (as you must of necessity do me) for yourself alone”. What does it mean to love Keats for himself alone without ever having known him? Like Aitken, we who read and teach Keats’s poetry can only love the man through his words. I like to imagine Aitken awaiting a response to his invitation, one that likely never came. 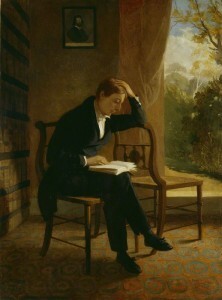 He would have been spending his days at the East Lothian Bank, wondering about Keats, perhaps reciting to himself an ode from the recently published 1820 volume, perhaps sneaking off for a break to read from it while tucked away in a quiet corner of the bank. We occupy a similar situation now. We read his words, haunted by the allure of a “warm shake of the hand” that will never come. Keats’s living hand remains a ghostly kind of presence. 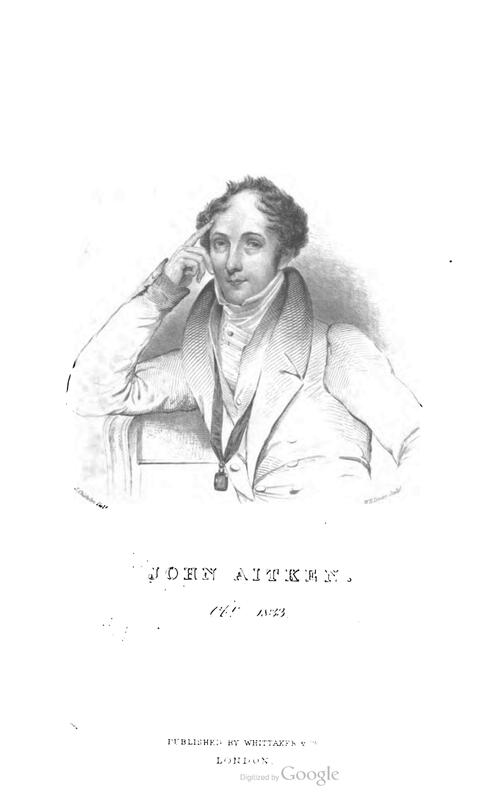 I begin by thinking about John Aitken because he is one of the first in a long line of readers of Keats who have professed to love the poet without having known him save from his works (and eventually also from his letters and biographical accounts of him). When I teach Romanticism, I make no attempt to hide my love for Keats behind some scholarly veneer of objectivity. This is not to merely replicate the Dead Poets Society version of pedagogy, in which passion for subject matter naturally translates into life-changing educational experiences for students. I’m fully aware of how easily one’s love for a poem/poet can ruin one’s attempts to teach that poem/poet—I learned that lesson when I first taught “Kubla Khan” as a graduate student, when my only plan was to go into class and say, “Hey, isn’t this poem wild? ?” But the more I teach, the more convinced I become that affect plays a crucial part in the classroom (and in the work of research, but that’s a slightly different story). Keats is a poet of the affections, of feeling for ever. When we attend to the poems’ motions and emotions, their affects and affections, their capacity to feel and to think through feeling, we can adopt a pedagogy that embraces the affective dimensions of knowing. With Keats, his poems themselves afford much discussion of sensation and feeling, since that’s more or less what they always concern. But we can also learn how to feel with Keats by understanding how others have done so. As I mentioned, Aitken is but one of many Keats lovers. Keats had friends who loved him dearly, before and after his death, and he also acquired many posthumous lovers. In the fall of 2013 I taught a dream course: a single-author-focused seminar on Keats, which I titled “The Cult of John Keats”. The aim of the course was to study not just Keats’s life and work, but also the phenomenon of loving a writer like so many readers have Keats. I joked with my students on day one that in some sense we were studying me by asking what it means to come to love an author by reading his works. 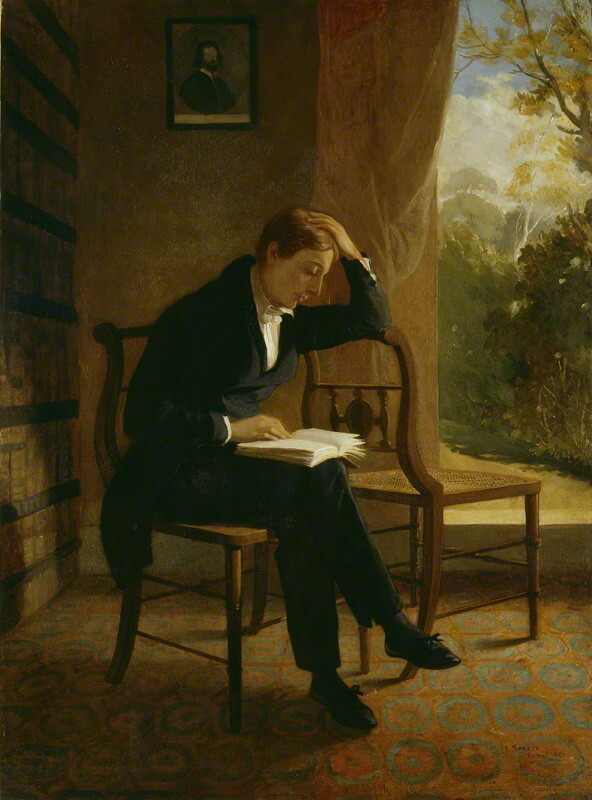 But we also took seriously the question of how to study, for instance, the influence of Keats on the Pre-Raphaelites, and in turn the influence that the Pre-Raphaelites had on the later reception of Keats. So what does this approach to teaching Keats look like? When reading his poetry, I always stress to my students the social dimensions of his poetic practice. We talk about the cultural and social significance of the “Cockney School” in the post-Napoleonic era, and the very real sense that Keats and his friends shared, that they were on the verge of a transformative moment in the history of poetry, and of social organization more largely. But they were also men and women who had great affection for one another, and who wanted reading and writing to be the basis of a more equitable and pleasurable way of living. This is not to say that I try to convince my students that Keats, Leigh Hunt and company had all the answers—to do so would be to accept their social project uncritically, and that doesn’t make for good scholarship or pedagogy. But I at least try to demonstrate that when we read Keats’s poetry, we tap into a way of being in the world. And furthermore, I suggest that the classroom space becomes a social, communal, and affective arena in which something transformative might also happen. A concrete example, then: I always love teaching the poem, “Written on a Blank Space at the End of Chaucer’s Tale of ‘The Floure and the Lefe’”. It’s a poem about reading and writing, and specifically about collective reading and writing. The story goes that Keats wrote the poem on (that is, on the topic of) and in (thanks to the titular blank space) Charles Cowden Clarke’s edition of Chaucer’s works. It commemorates their act of reading Chaucer together, just as Keats’s more famous sonnet does for the two men’s reading of Chapman’s Homer. When teaching the poem, my students read it in their Penguin edition of the collected poems, but we also looked at a PDF of the poem as it was first published in Hunt’s Examiner in March 1817. There we see it enter into another nexus of social relations. It appears alongside political news and a theatrical review, and it receives the editorial blessing from Hunt, who mentions Keats’s other recent poems that have appeared in the Examiner, including in Hunt’s “Young Poets” article from the previous December. And Hunt asserts again that Keats has a “true claim” to the title of poet, quoting Ben Jonson as he refers to Keats as “the youngest He / That sits in shadow of Apollo’s tree”. 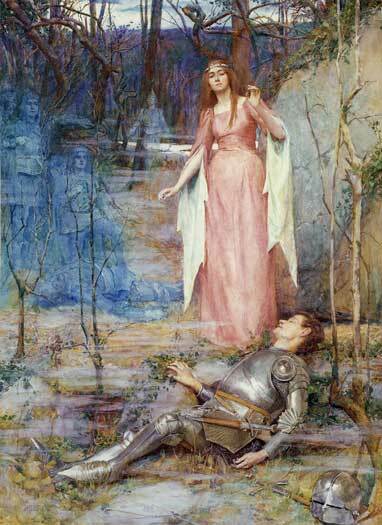 Now my students see the poem not just as Keats reading Chaucer and writing a poem about it. Rather, they see a wide range of material and aesthetic practices that help bring the poem and its affective relations into existence. There is literary history at work, of course (Chaucer-Jonson-Hunt-Keats). There’s also the material history of the books involved (including the volume of Chaucer with Keats’s annotation, now held at the British Library), as well as the institutional history of Keats’s connection to the Enfield school where Clarke was the schoolmaster’s son. And there are the broader networked connections that The Examiner affords, including to the soon-to-come attacks from Blackwood’s and later responses to those, including that of John Aitken, who, being a proud Scotsman himself, mentions in his letter to Keats his “unfeigned sorrow that a Scotch publication should have borne away the bell in such manifest baseness of conduct”. From reading a poem and tracing some of its material history, my students saw a variety of moments and manners through which the affective residues of poetry—through the reading, writing, sharing, teaching, and learning of it—continue to agglomerate together through new times and spaces. Keats is a poet of excess, of accretion, of plenitude. And a powerful way to realize that aspect of his poetics is to trace how feelings accumulate in and through the reading of those poems, and particularly through their material histories. One might say, through the Keatsian objects of affection—the people and things he loved, but also the things through which affections were and are transferred. Towards the semester’s end, I introduced my students to one such object. Fortuitously, one of my students from the class had sent me an email with a link to a copy of a Keats life mask for sale on ebay. Needless to say, I snatched it up immediately. I told my students that I had purchased it, and when it finally arrived, I carried the mask to our classroom. That day was strange, but it was also fascinating. We had been spending weeks and weeks talking about Keats, his life and work, and about so many responses to Keats. And now here was his face on the table in front of the class. Some students were creeped out, some seemed relatively unfazed, some were charmed by it, a few seemed kind of mesmerized. All were affected in some way. And it was affecting. We spent probably thirty minutes discussing the mask and students’ responses to it. 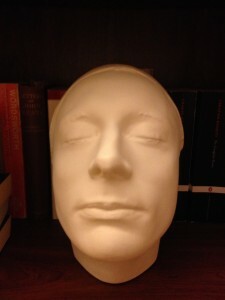 We talked about the “Ode on a Grecian Urn” and the similarly silent form of the life mask, refusing to give up its secrets while also seemingly expressing so much and so sweetly. I think what struck me most about the exercise was how students recognized that encountering Keats’s face—or at least a copy of a copy of a copy, etc., of Keats’s face—didn’t get us closer to some final sort of revelation. Keats remained an alluring mystery and a haunting presence. I can imagine that if Keats had gone to stay with John Aitken, when Keats stepped onto the train platform, Aitken would have had a similarly uncanny experience. Because he too wouldn’t have fully known the face that met him and the hand that grasped his. And that’s what makes reading poetry worthwhile. We feel things, but what we feel can’t be fully known or articulated. And sometimes we don’t feel anything. I (grudgingly) accept that there are people who read Keats’s poetry and it just doesn’t do anything for them. But to teach Keats’s poetry, even if you yourself don’t feel the effects and the affects, one needs at least to recognize the histories of loving Keats and loving his poems that have brought us to this point, this particular platform from which we greet the face and hands that meet us, but that we never really know. When I teach Keats in a variety of courses – Romantic Poets, Survey of English Literature, The Visual and the Written, Femme Fatale in English Poetry of the 19th century – I like to think about particular topics rather than particular poems. Thus, we consider Keats in relation to art and nature (“Ode on the Grecian Urn”, “Ode to the Nightingale”, “To Autumn”; “On Seeing the Elgin Marbles”); I like comparing Keats’s Nightingale with other nightingale poems of the period (by Charlotte Smith, John Clare, S.T. Coleridge), and with my first year students we discuss image and metaphor in “Ode to the Grecian Urn” as compared to Shelley’s “Ode to the West Wind”. Another strategy that I found rewarding was to teach a series of classes on Romantic narrative poems, while also discussing the Gothic convention: here Coleridge’s “Christabel” went hand in hand with Keats’s “The Eve of Saint Agnes”. While talking about art and time I frequently explain the Romantic fascination with the fragment: I use here Fuseli’s “The Artist Moved by the Grandeur of Antique Fragments” together with Keats’s “Elgin Marbles” sonnet and Shelley’s “Ozymandias”. In my course on the interactions between poetry and the visual art I teach “La Belle Dame Sans Merci” and “Lamia” – the former text accompanied by a long list of paintings from the 19th century and also by a critical essay by Grant Scott, which is extremely helpful here – “Language strange: the visual history of Keats’s ‘i'” (Studies in Romanticism 38,4). The discussion is usually invigorating. We discuss the essential lack of communication between the lady and the knight, possibly clashing expectations on both sides, overtones of violence and captivity. We establish the central question in the poem – “What ails thee?” – and list the various reasons for the knight’s physical and spiritual condition. I also accompany those texts with chosen passages from scholarly essays informed by feminist and gender criticism (by Diane Hoeveler, Anne Mellor, Karla Alwes). While looking at the paintings we notice changing gender roles alongside the passive/active axis and underlining/suppression of particular motifs from the poem. As far as teaching Shelley is concerned, with less advanced students I read “Ode on the West Wind” and chosen passages from A Defence of Poetry. The focus is here on the role and the figure of the poet, and the figuration of inspiration and the creative process. I frequently set Shelley’s “Ode” in dialogue with Keats’s “Ode on the Grecian Urn”: we discuss the concern of both poets with art and nature, the status of poetic image and metaphor. We also discuss “Ozymandias” in similar context. With more advanced students I like to read a text which is usually a challenge to the class: “On the Medusa of Leonardo Da Vinci in the Florentine Gallery”. 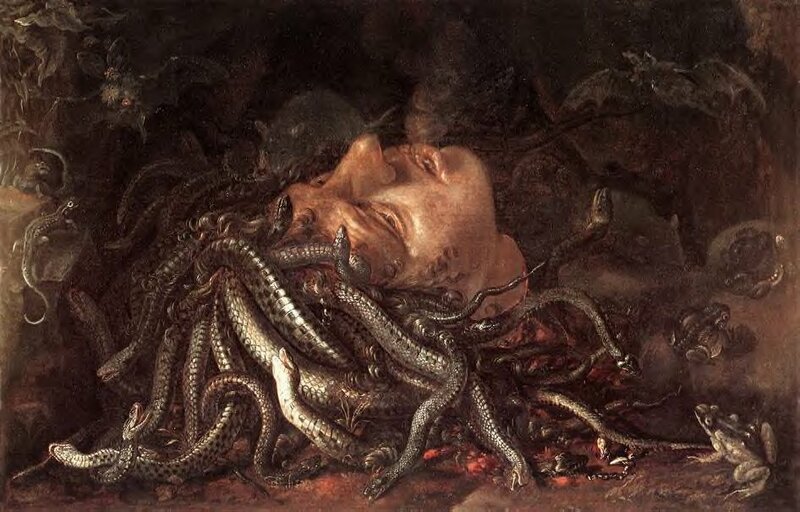 After a short revision of the myth we do a close reading of the poem, trying to see the Medusa not as lethal but humanizing; the focus is here on the gradual change that happens in the viewer/speaker as a result of the Medusa’s gaze, and how it is rendered in the language of the poem (the lacunae, the shift from viewing the head of the Medusa as ‘it’ to ‘a woman’s countenance divine”, the non-descriptive language). The critical text I use here is Carol Jacobs’s “On looking at Shelley’s Medusa” (Yale French Studies 69 (1985). Talking about Shelley’s concept of mind in creation as a fading coal I like to use “To Constantia, Singing” and passages from “Epipsychidion”, both texts serving as an illustration of complex relation between love, self, creativity and inspiration. I also quote chosen passages from Shelley’s essay “On Love”, coupled with Adam Smith’s concept of sympathy, to underline the fact that Shelley’s thinking was deeply socially-oriented. I n summary, our contributors have demonstrated an impressive array of approaches to teaching Keats’s poetry and letters. Each of them succeeds in introducing students to the full variety of Keats’s poetry: the odes, ballads, sonnets, narrative poems, and the like. They also encourage their students to place Keats’s work alongside that of other British writers, most notably Shelley (the subject of the next entry in the “Teaching Romanticism” series). Brian Rejack’s module “The Cult of John Keats” is a striking example of the ways in which we might expand on the author-and-their-circle teaching model, not least of all because it allows the educator to convey his own enthusiasm for the subject while expanding on the critical and historical contexts surrounding the work.